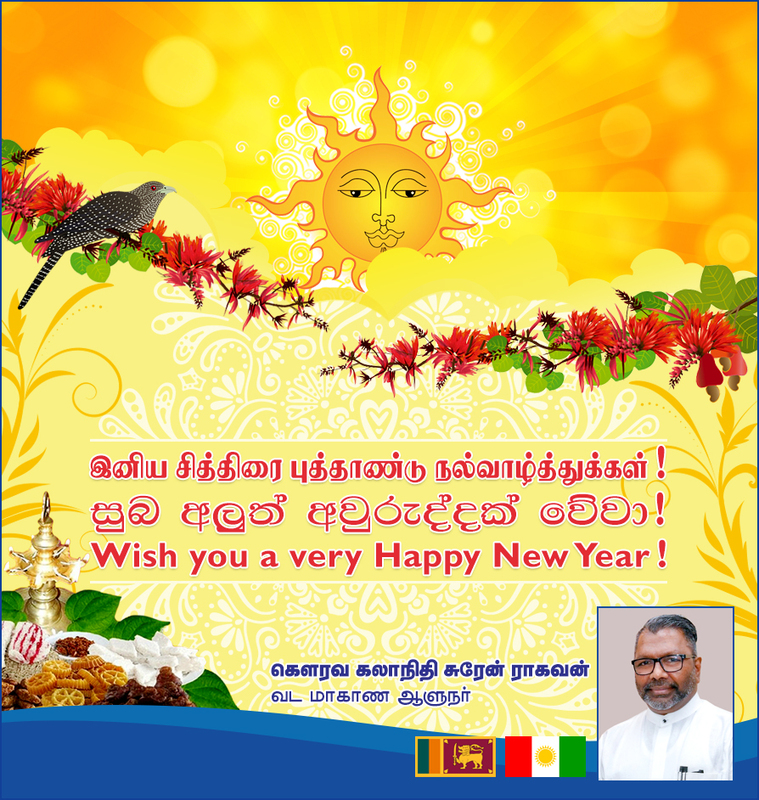 I am overjoyed to express my greeting to all who celebrate Tamil / Sinhala New Year – 2019. A decade has passed after the war. In this situation, I pray it should be a year in which everyone in the country will have social, cultural and political rights and responsibilities. I also hope this year will set a path for the opportunity to turn Sri Lanka becoming a prosperous nation where all our people live together. I also pray this New Year will be a year of prosperity for the people of the country, the president of Sri Lanka and other representatives of the people including political leaders.